This piece was commissioned by the friend of the newly-wed couple to congratulate them and celebrate their now formalized union. 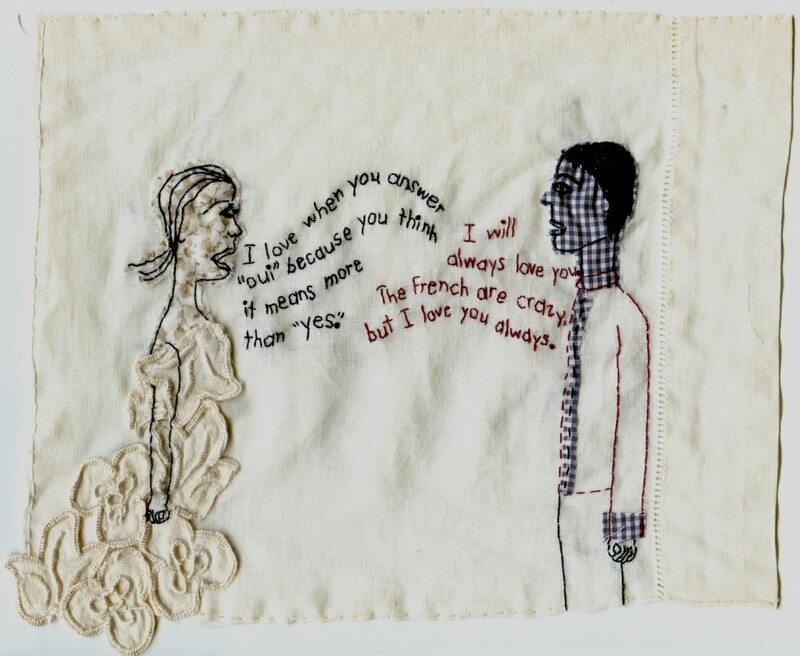 “I will always love you.” Embroidery on fabric with appliqué. Custom.